The fitness squad at the Terraces introduced a new class for residents known as Grip Strength. The class entails a sequence of exercises including wrist extensions and flexion, rolling a pencil between their fingers, and touching each finger to their thumbs. Aneil Koerper, lifestyle director at the Terraces, shared the benefits of the new class and how it has been a great success for residents. Q: What are the benefits of grip strength class? A: As we age our flexibility and strength in our hands and wrist weaken due to a sedentary lifestyle and or arthritis. Grip strength plays an important part of our daily activities because we rely upon adequate strength and endurance for every movement. Examples of those daily movements include buttoning a shirt, writing a note—all of which require pinching our index finger and thumb. Other examples of grip strength and flexibility include pulling up pants, opening a jar, turning a door knob and opening a refrigerator. These movements all require the resident to be able to first grip and squeeze an item, and then, they have to pull or twist which also requires flexibility. Q: How many residents are taking the class? A: On average, we have about 22 residents from residential living and ten residents from assisted living participating in the class twice a week. Prior to each class we would test their grip strength with a Digital Hand Dynamometer, which shows how they are improving their strength over time. 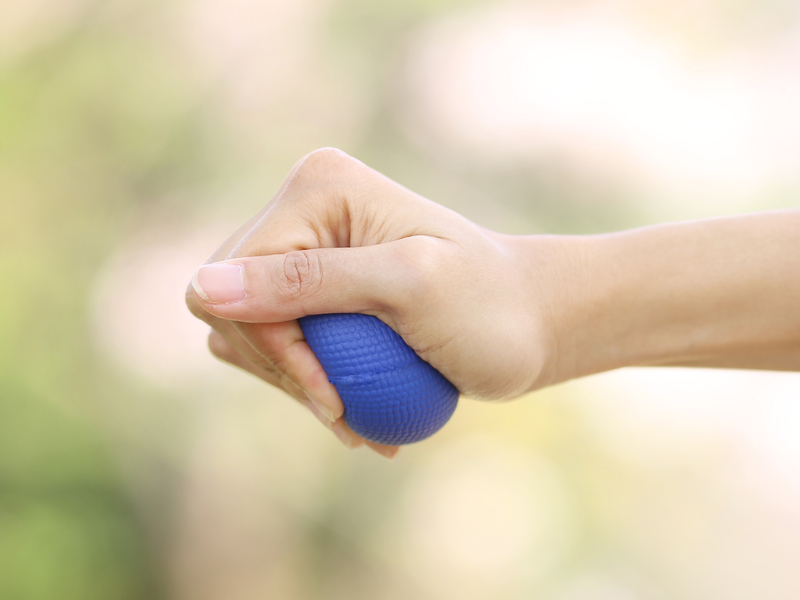 If the dynamometer shows that a resident’s grip is weaker than we recommend, we will suggest they skip the class for the day in order to fully recover strength in their hand and finger muscles. This helps to prevent injury as well. Q: While it’s a new class, have you received any reports from residents about changes for the better? A: We have had great feedback from our residents who participated during the first eight-week course held in late summer. They felt a difference in their grip strength and flexibility. Our testing also showed improvements as well. In November, we brought the class black for another eight-week course.